Conceived from the first to be one of Europe’s great cities, St Petersburg took shape from the vision of just one man, a monarch who engaged the finest architects of the day. At first sight almost too beautiful, Peter the Great’s showcase capital, his gateway to the world, to be raised from a windswept marshland, has survived, and mellowed, for over two hundred years. “A little bit of Holland, Italy and France all in one city” is how St Petersburg has been described. Although younger than Moscow, visitors experience an amazing sense of history as all the scenes from Anna Karenina, Nicholas and Alexandra and James Bond come to life! If the Hermitage Museum teems with package tourists, there are many more fine museums and monuments that remain more accessible, more rewarding even. Simply to stroll beside the city canals is stimulation enough. Stay up on a summer’s night to see the bridges raised in the wee hours – and the city reverting to Peter’s own vision of a Venice of the North. Striving to reform his sprawling nation, Peter the Great founded in 1703 a new city intended to become a ‘Window on the West’. Few people expected the marshy, inhospitable landscape of the Neva to become the seat of the most European-looking city in Russia. Indeed, in defiance of its unfortunate geographical position, St Petersburg became what many consider the most beautiful city in Russia. Between 1712 and 1918, St Petersburg was Russia’s formal capital and the hub of the commercial, industrial and cultural life of the country. Enormous funds were allocated to provide for its construction and artistic embellishment. Rastrelli, Rossi, Voronikhin, Stasov and other celebrated architects were instrumental in having created some of the world famous ensembles. It is impossible to erase the memories of a more recent past where during World War II, neither mass attack, or starvation could undermine the spirits of the defenders of Leningrad – as it then was – who withstood a nine-hundred-day siege by Hitler’s troops. Tip: Built on the Neva River, the city can be quite humid and marshy. Mosquito repellent is a good idea if travelling in summer. There are 57 underground stations in St Petersburg forming a Metro network of four lines. For longer journeys, or if you are in a hurry, the Metro offers the most efficient transport. The St. Petersburg Metro is perhaps not as impressive and monumental as the one in Moscow, yet it appears more impressive than most others – largely because it is the deepest subway in the world. Normally trains arrive every 2-4 minutes. The stations open at about 5:45 a.m. and close between midnight and 0:30 a.m. You can transfer from one line to another until 0:15 am. Try to avoid rush hours, when the trains are crowded (7 a.m. to 9 a.m. and 5 p.m. to 7 p.m.). All signs are in Cyrillic script, but with practice it is not too difficult to decipher the names. Unless you buy a monthly pass (called kartochka or proyezdnoy) you pay by tokens, which can be purchased at special counters or booths located at every station. These booths also sell monthly Metro passes and passes covering all forms of public transport (yediny or yedinaya kartochka). There are two types of entry gates at Metro stations, but the old ones are quickly disappearing. New gates accept both tokens and monthly / ten-journey passes, while in the past you had to use different gates. If you have a monthly / ten journey pass: insert your plastic pass into the slot of a gate. When the card is ejected, walk through. If you have any problems with a gate, take your card to the member of station staff on duty, who can normally be found in a glass booth near the entry gates. All tramcars now have conductors on board. You should pay in cash to a conductor, unless you have a monthly pass. Conductors normally wear special uniform (and/or red arm bands). They check whether everybody has paid and sell tickets to those who need them. Don’t be surprised to see an occasional kontrolyor – an inspector, who might ask you to show your ticket. Suburban trains to Gatchina, Kalishche, Luga, Oranienbaum (Lomonosov), Petergof (Petrodvorets), Strelna. Long-distance trains to Moscow, Petrozavodsk, Helsinki. Suburban trains to Zelenogorsk, Vyborg, Sestroretsk, Priozersk, Primorsk. Long-distance trains to Moscow, Almaty, Adler, Archangelsk, Volgograd, Ekaterinburg, Ivanovo, Kazan, Murmansk, Perm, Nizhniy Novgorod, Samara, Chelyabinsk. Suburban trains to Volkhov, Malaya Vishera, Mga. International trains to Kishinev, Minsk, Kiev, Odessa, Brest, Derbent. Long-distance trains to Dnepropetrovsk, Smolensk. Suburban trains to Novolisino, Oredezh, Pushkin (Tsarskoe Selo), Pavlovsk. Long-distance trains to Petrozavodsk, Nizhniy Tagil, Ekaterinburg, Murmansk, Sharya. Many trains operate daily between St Petersburg and Moscow, from high speed services that connect the cities in under four hours, to luxurious overnight services and slow local trains. Any train journey will prove interesting as you travel through the picturesque countryside. We can help you purchase your tickets or help with schedules and other information. Below are some notes about some of the more significant trains. Train Afanasy Nikitin No. 37/38 is named in honour of the famous Russian traveller and writer Afanasy Nikitin. 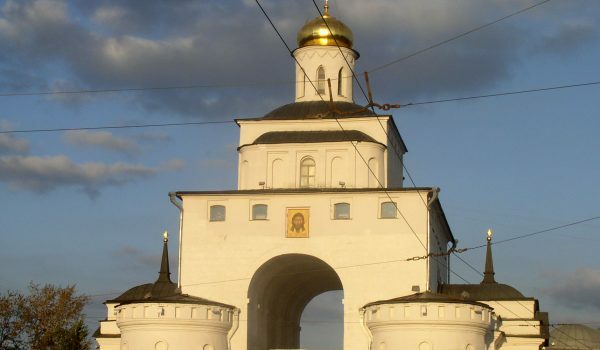 The first trip took place in the 1991 along the Moscow-Vyborg route, but then it was reduced to Moscow-St-Petersburg. Afanasy Nikitin operates daily with a 7-8 hour journey. It has 1st, 2nd, 3rd class compartments and also a pleasant dining car. Train Express №. 3/4 is a fast train with increased level of service running between St Petersburg and Moscow in 8 hours. The train has both 1st and 2nd class cabins. First class consists of a cabin for 2 people including bed linen, a few magazines and a hot meal while 2nd class is a cabin for 4 people including bed linen, a few magazines and a lunch box. Train Grand Express №. 53/54 is the most luxurious train operating the 8-9 hour journey on this route. The train has First, Premium, Grand and Grand Deluxe class compartments. First class consists of a cabin for 2 people including bed linen and a few magazines. Premium cabins are available including everything as in 1st class as well as a WC and sink. The Grand and Grand Deluxe cabins consist of a wardrobe, DVD, TV, air conditioner, internet access, heating and noise insulation, dressing gown and slippers (an entire compartment must be purchased – 2 tickets). This St Petersburg train has a dining car that serves good meals. You can also order food and drinks to your compartment. Train Nevsky Express №. 167/168 Only operates twice each week, but departing from St Petersburg in early morning you will reach Moscow in time for lunch. The train has economy and business class seats. Business class coaches are equipped with comfortable seats with personal tables and individual lighting consoles. There are two bars in this train (in the first and in the last wagons). Tickets can be issued 7 days before departure. Train Northern Palmira №. 27/28 This is a fast train with superior service levels, labelled as a “Firmenny” train. In summer this train runs between St Petersburg to Adler (southern Russia) and during other periods it carries passengers from Moscow to St Petersburg and back. 2nd class cabins are available, which consist of a cabin with a sleeping berth for 4 people. Bed linen, light breakfast, tea and coffee are included. Train Red Arrow №. 1/2 is probably the most famous Russian train. In Soviet times, it carried the Communist Party elite between Moscow and what was then Leningrad. It is still one of the most popular trains between Moscow and St Petersburg. The train even has its own theme song that plays as it departs the station. Red Arrow offers Deluxe, First and Second Class compartments. First class consists of a cabin for 2 people including bed linen and a few magazines for free and a hot meal at extra charge, while 2nd class is a cabin for 4 people including bed linen and a few magazines for free and a lunch box at extra charge. Deluxe cabins include everything in 1st class as well as a shower. The train also has an inviting dining car that serves good meals. For the full Russian rail experience, this is the train for you. Train Sapsan (№. 151/166) is a high-speed electric Moscow train of the Velaro RUS series produced by Siemens Transportation Systems, and capable of a maximum speed of 250 km/h, covering the intercity journey in just under four hours. The train was named after the fastest bird on the planet; the peregrine falcon, known in Russian as the sapsan, can reach speeds of over 322 km/h, or 90 m/sec. Each train has 10 carriages, of which two are First Class and eight are Second Class. The price of a first class ticket includes hot food (with a choice of meals), as well as reading materials and travel packs (containing ear plugs, eye masks, and slippers), and also children´s packs. Passengers in second class can order hot food from the bistro carriage, use the internet, and also access video and audio programmes. Buying a ticket on the Sapsan through our company is easy. Train Smena №. 25/26 is a high quality passenger train running between Moscow and St Petersburg quite similar to the Red Arrow (however, it doesn´t have its own theme song). The train offers both 1st and 2nd class cabins. First class consists of a cabin for 2 people including bed linen, a few magazines and a hot meal while 2nd class is a cabin for 4 people including bed linen, a few magazines and a lunch box. Train Two Capitals №. 63/64 has operated on the Moscow-St Petersburg route since 2005. This train is less expensive in comparison with other trains along this popular route and it offers 3rd class carriages. All the compartments have air conditioning and heating. Two Capitals doesn´t make stops during the eight-hour journey. To purchase a ticket on any of these services, please contact us. St Petersburg boasts a total of over 50 museums and art galleries, the most prominent being The Hermitage otherwise known as the Winter Palace – formerly the seat of the Russian Imperial families. The building, which was designed by Rastrelli and completed in 1839 during the reign of Catherine the Great, represents a marvellous work of art in itself. The State Hermitage Museum ranks among the world’s most outstanding art museums with its exhibits continuing to swell. Successive Russian emperors, including Peter the Great, all contributed to what is known today as an invaluable collection of items from an Oriental, Russian and Western European origin. Another object of wonder is the Russian Museum, founded by Emperor Alexander III. Here a splendid collection of world famous Russian painters, such as Bryullov, Shishkin, and Repin is open to the public. The whole city is a huge museum in the open air where you can gaze in amazement at the sculptural history of St Petersburg, with its magnificent bronze horses on Nevsky Avenue, Anitchkov Bridge, marble statues in the Summer Gardens, and innumerable lions, eagles and sea monsters, either supporting balconies or gracefully set in the railings of a wall. One might envisage these statues as a 300-year chronicle rather than a collection of marvels created out of stone and bronze. A history of Russian science and culture is inscribed in this chronicle, including the magisterial contributions by such names as Lomonosov, Mendeleyev, Pushkin, Dostoyevsky, Akhmatova and Shostakovich. City attractions include the Peter-and-Paul Fortress, Our Lady of Kazan and St.Isaac Cathedrals, and the Aleksandr Nevsky Lavra, to name just a few. You could hardly leave this city without standing for a while on the Spit of Vasilievsky Island, or strolling along the Admiralty Embankment from the Hermitage to the monument of Peter the Great, founder of St.Petersburg. This monument is a huge equestrian statue made of bronze and is mounted on a pedestal of solid granite rock, weighing in total over 1500 tons. Theatre lovers should consider the numerous theatres and concert halls which are renowned the world over. No matter what your interests, St.Petersburg’s diverse culture and many historical attractions are not to be missed. The magnificent Winter Palace, situated in the subsequently named Palace Square, is now home to The Hermitage, an astounding collection of art and sculpture. The main street, Nevsky Prospekt, is where you will find major attractions such as St Isaac’s Cathedral, with its enormous gold dome, and Church of the Spilled Blood. Peter’s influence on his city manifests itself not only in its name, but also in the Peter and Paul Fortress, and the Museum of Ethnography, which features Peter’s private grisly collection of preserved foetuses. Saint-Petersburg is located at 59°57′ degrees North, 30°19′ degrees East. The city’s area equals 606 square km, 1439 square km including suburbs. Because of its high northern latitude, St Petersburg enjoys the phenomenon known as the “white nights”, which lasts from May 25-26 through to July 16-17. July 22, the Solstice Day, is the longest day (18 hours 53 minutes); the shortest day is December 22 (5 hours 52 minutes). The climate is humid, close to maritime, with a moderately warm summer and a rather long moderately cold winter. Saint-Petersburg. The average temperature. The average winter temperature is -8°С, the average summer temperature is +18°С. In dry hot weather the temperature may rise to +25°С/+30°С. The temperature drops dramatically in winter, reaching -25°С/-30°С. Precipitation reaches 634 mm per year. The Neva River is the city’s main waterway. The name of the river derives from the ancient name of Lake Ladoga, the Neva where it begins. The Neva is 74 km long, flowing 32 km within the city boundaries. The average width of the Neva within the city is 600 metres, depth – up to 24 metres. In the delta, the Neva splits into three main branches: the Bolshaya Neva, the Malaya Neva and the Bolshaya Nevka. The city is located on the hanks of the Neva and about one hundred rivers, canals and straits. Water constitutes one-tenth of the area of the city. The abundance of islands has led to the construction of a multitude of bridges. Of these, there are 308 within the city proper, and 534 if suburbs are included. Twenty two are drawbridges. The longest bridge across the Neva is the Alexander Nevsky Bridge (909 meters), and the widest bridge is the Siniy Bridge on the Moika River (99.5 metres). Saint Petersburg stands on the 47 islands of the Neva Delta, the largest two being Vasilievsky and Petrogradsky. Floods occur frequently in the city. Most often they happen during the autumn due to strong westerly winds. In the history of the city the Neva has risen above the ordinary level more than three hundred times. The biggest flood was on 7 November 1824 when the water rose 4.1 metres above the ordinary level.